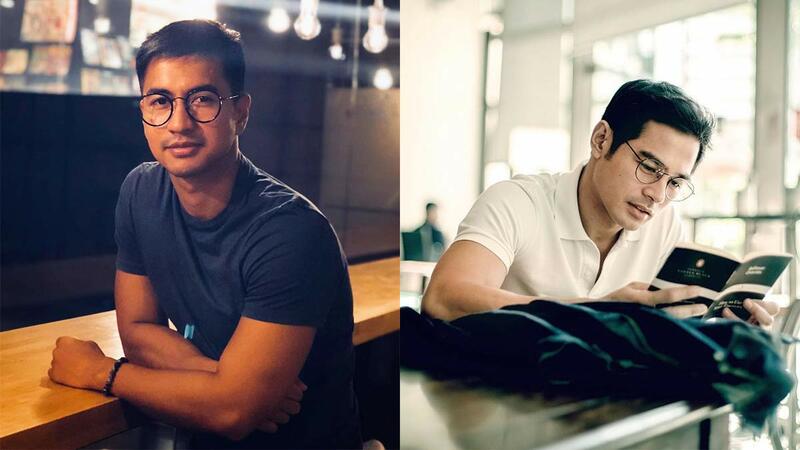 Of course, Erwan Heussaff makes it to the top of this list. We don't mind *that* hair with a face like yours, Xian Lim. The ultimate ZADDY Ryan Agoncillo who only gets better with age. You can get too close for comfort with Joem Bascon. Trust James Reid to make eyeglasses look this ~cool~. You've always brightened up our world, Jake Ejercito. Sitting still while reading a book? Are you sure that's Nico Bolzico?! Here's Marco Gallo as dapper as he can be. Everyone, just stop and look at Ruru Madrid. What'll it take to make Zanjoe Marudo smile? Donny Pangilinan, what a cutie this cutie! These are technically sunglasses but whatever. Vin Abrenica looks so damn good in them! Hi ma, this is my boyfriend po, McCoy De Leon. Hihi!